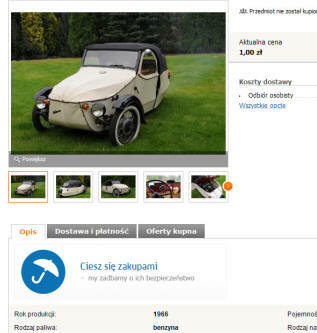 In late 2012, I found in a Polish website a Velorex Oscar for sale south of Warsawa. It was a 1966 with the Jawa 350 engine. On this time I had been very sick , had to learn walk again, and was so weak that I couldn’t make any restoring of any new car that winter. That’s why we decided to buy a ready-to-drive car. This is my only car who is not restored by myself. After a long time with communication with a seller who didn’t speak other language than Polish, we get a deal, and took a RayanAir tour to Warsawa. 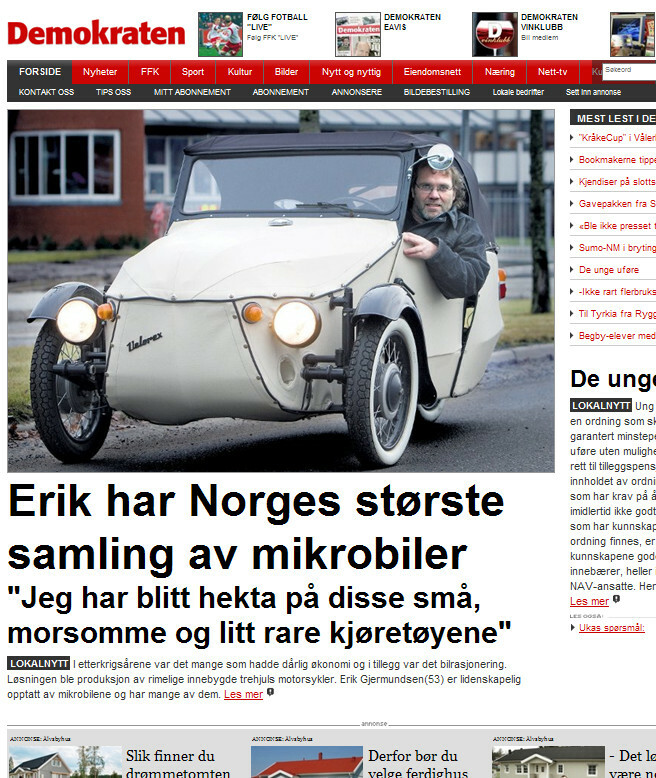 We had no returnticket, so we had to buy it, and try to drive the small car home by weels to Norway via Sweden. It was appr. 1000km shortest route. 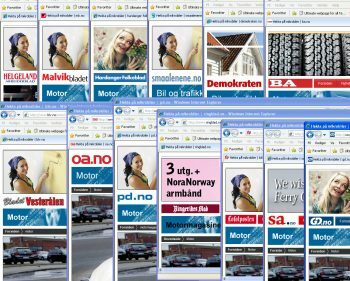 The trip was sucsessfull, and our Velorex get Norwegian tags. 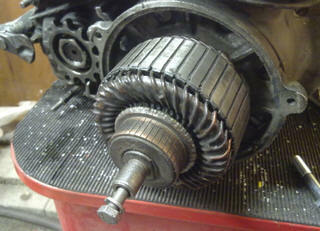 After 1 our on Norwegian roads, the gearbox broke down, so the enginge had to be fixed. 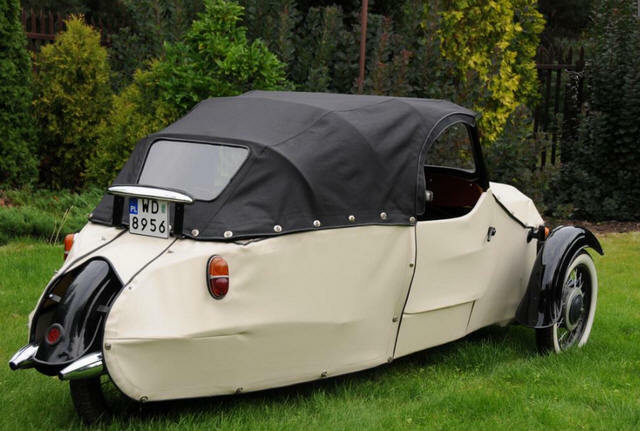 The Czech manufacturer Velorex is probably best known for its sidecars but they also produced some weird and wonderful little cars. At first sight a Velorex looks like a pile of old coats! However, it really is a rather clever little car. 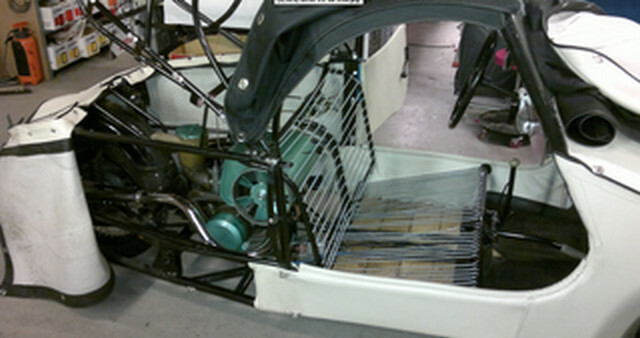 The cars feature a tubular steel space frame, something that is usually only found on exotic racing cars. The space frame is covered with fabric panels which are attached by press studs and are removable. 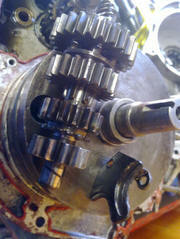 The engines used were modified units designed for Jawa motorcycles. 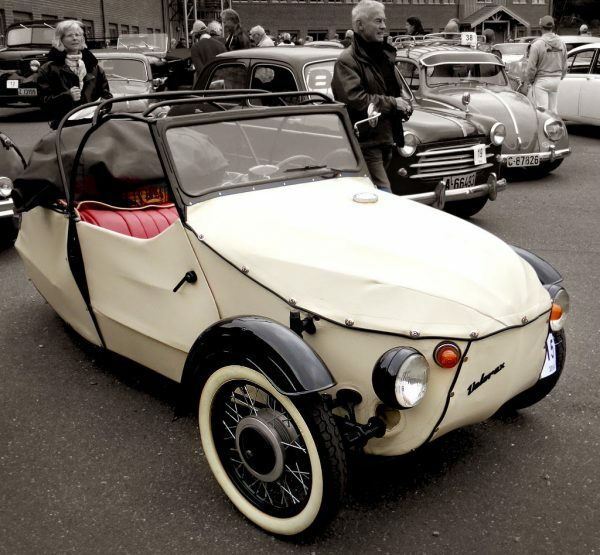 Early cars used a single or twin cylinder 250cc unit, later cars had a 350cc twin. 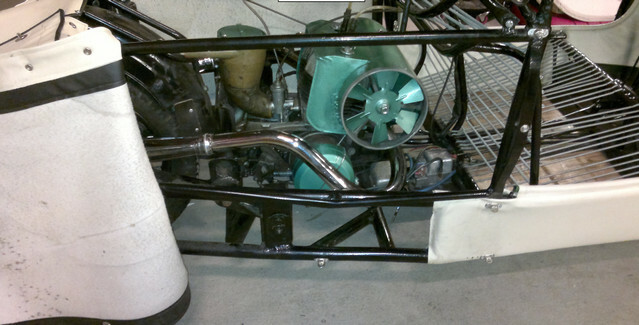 All engines were two-strokes, air cooled, and mounted in the rear of the car. 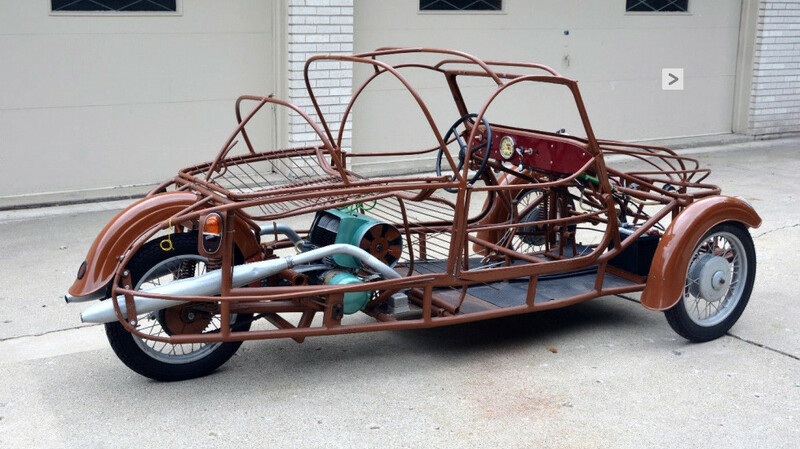 Since 1936, two brothers František and Mojmír Stránský started developing of a very cheap and simple 3-wheel car, inspired by Morgan Motor Company 3-wheelers. 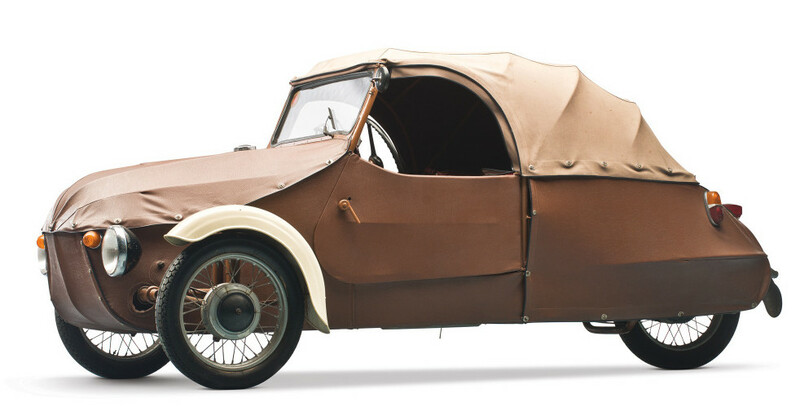 They built the first prototype in 1943 and called it Oskar ( “kára na ose,” or “car on axle”). In 1945, the first batch of these cars was built. 150 cc (9 cu in) ČZ motorcycle engines, three with 6 bhp (4 kW; 6 PS), 300 cc (18 cu in) PAL engines and six with 250 cc (15 cu in) Jawa units. 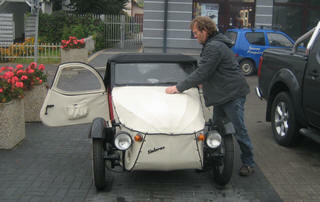 In 1950, the Stránský’s workshop was transferred to Velo, another small Czech company. In 1951, the company built 120 Oscar 54, the next year – 200. 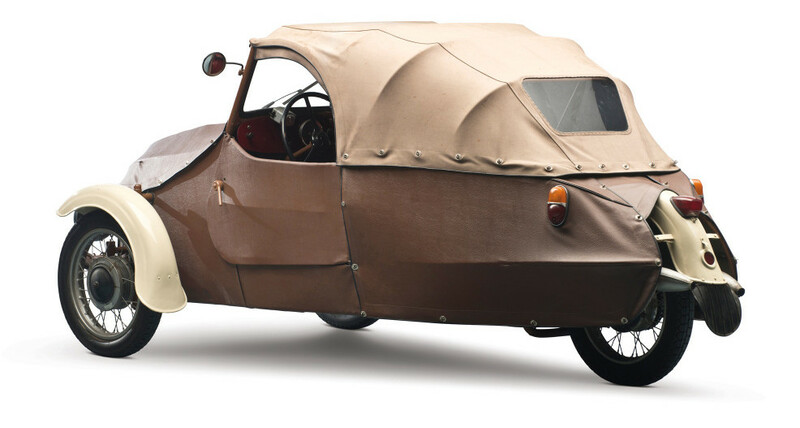 In 1956, the vehicle’s name was changed to Velorex – Oskar and then just to Velorex, which got Jawa 250 engine (Velorex 16/250). The newly designed Model 16 was presented in 1963. It had the same appearance, but was fitted with with either ČZ 175 (Velorex 16/175) or Jawa 350 type 572 (Velorex 16/350) engines. 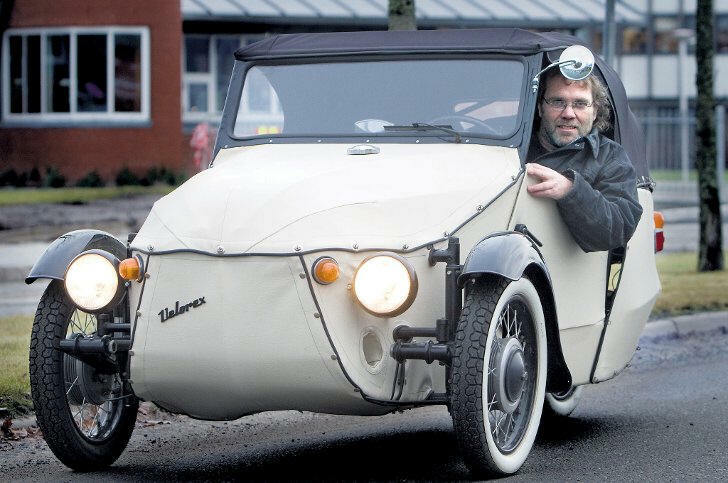 These cars probably represent the simplest usable car ever made, and were able to carry two adults at reasonable speeds and minimal cost. The first Velorex cars were made in 1958 and production continued through until the 1970’s.